De Rosa's SK Disc Frameset puts a modern twist on the well-established SK range. 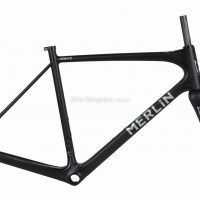 This highly-advanced carbon fibre frameset was crafted in collaboration with design legend Pininfarina, designer of the famous Ferrari P4/5 and GTO. The SK is constructed with a custom mix of 24T, 30T, 40T and 60T carbon fibre and offers you the flair and panache that Italian design is renowned for. 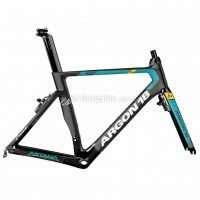 This means it offers the ultimate in both power transfer and handling performance and with its aggressive geometry, it keeps you in the ideal race-winning riding position. Advanced Construction Even the frame's smallest details have been designed meticulously by De Rosa. The SK Disc's internal cable routing makes it compatible with both electronic and mechanical groupsets. There's also mounting points for flat mount disc brakes and an oversized, BB386EVO bottom bracket shell. Plus, to improve airflow over the frame and to reduce air turbulence, De Rosa used an inner mould tooling system. This involves the use of 3D printing and a special resin to reduce the frame's weight and to increase its strength. Finally, wind tunnel testing further refines the frame's performance at high speeds. Frame: Blend of 24T, 30T, 40T and 60T Carbon Fibre Fork: Blend of 24T, 30T, 40T and 60T Carbon Fibre, tapered steerer Dropouts: 12mm thru, replaceable rear derailleur hanger Headset Size: 1 1/8"-1 1/4" Brake Type: Flat mount disc brakes Bottom Bracket Type: BB386EVO Seatpost: Dedicated carbon aero post Cable Routing: Internal Bottle Cage Mounts: Double UCI Approved Comfortably fit 25c tyres Made with design legends Pininfarina Innovative aero frame design Extended seat tube and significantly lowered seat stays Aggressive rear wheel cut-out Weight: 1620g (frame and fork). 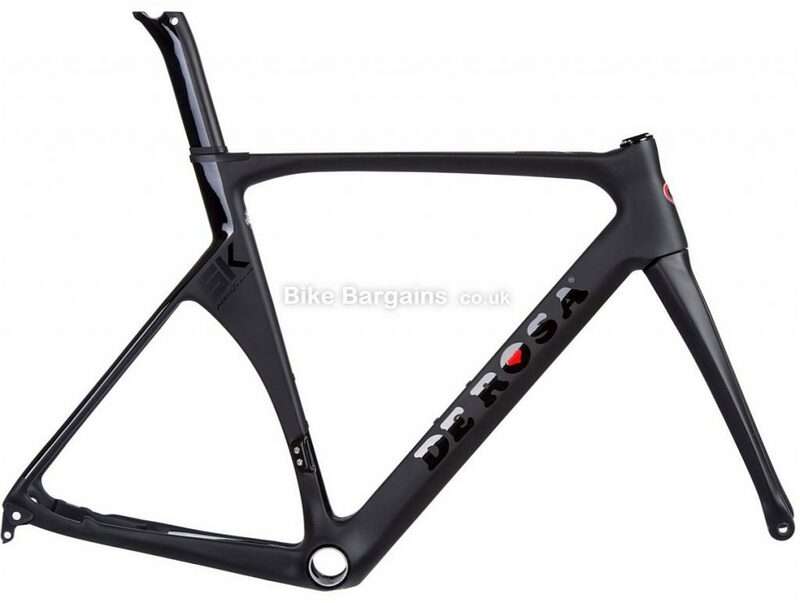 This £1549.99 SK Disc Pininfarina Frame deal has expired. 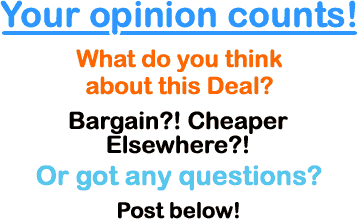 However, you can..
Or view all of my Frames deals. 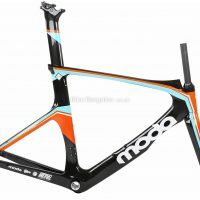 The frame is the heart of the bike, a lightweight chassis that the rest of the components are bolted to. 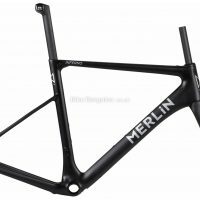 Each frame I list will be clearly marked as to it's intended purpose - whether road, MTB, cyclocross or other form of riding. Similarly, I try to include as much information as I can regarding the materials used, such as carbon, alloy or steel, as well as the sizes available and full specification. You can learn more about De Rosa's selection of bikes.